The video below is a sad recount of the scientific conditions in Mexico that have driven an enormous amount of brain power to other countries. Doing science is always a hard endeavour but in developing countries is also filled with so many hurdles that it makes you wonder if it is all worth the constant frustration. 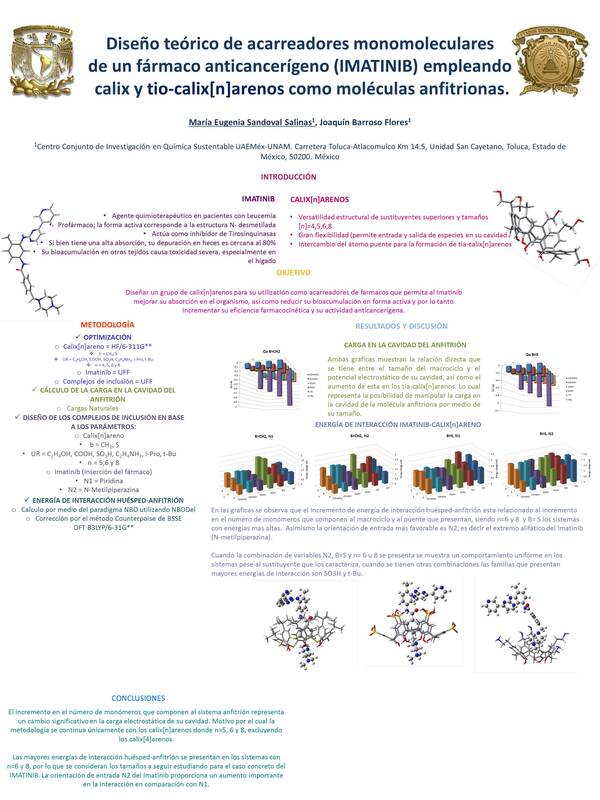 That is why I think it is even more important for the Latin American community to make our science visible, and special issues like this one from the International Journal of Quantum Chemistry goes a long way in doing so. This is not the first time IJQC devotes a special issue to the Comp.Chem. done south of the proverbial border, a full issue devoted to the Mexican Physical Chemistry Meetings (RMFQT) was also published six years ago. I believe these special issues in mainstream journals are great ways of promoting our work in a collected way that stresses our particular lines of research instead of having them spread a number of journals. Also, and I may be ostracized for this, but I think coming up with a new journal for a specific geographical community represents a lot of effort that takes an enormous amount of time to take off and thus gain visibility. For these reasons I’ve been cooking up some ideas for the next RMFQT website. I don’t pretend to say that my colleagues need any shoutouts from my part -I could only be so lucky to produce such fine pieces of research myself- but it wouldn’t hurt to have a more established online presence as a community. 2017 was a complicated year for various reasons here in Mexico (and some personal health issues) but nonetheless I’m very proud of the performance of everyone at the lab whose hard work and great skills keep pushing our research forward. Four new members joined the team and have presented their work at the national meeting for CompChem for the first time. Also, for the first time, one of my students, Gustavo Mondragón, gave a talk at this meeting with great success about his research on the Fenna Matthews Olson complex of photosynthetic bacteria. The opportunity to attend WATOC at Munich presented me the great chance to meet wonderful people from around the world and was even kindly and undeservingly invited to write the prologue for an introductory DFT book by Prof. Pedro Cerón from Spain. I hope to Jeep up with the collaborations abroad such as the one with the Mirkin group at Nortgwestern and the one with my dear friend Kunsagi-Mate Sándor at Pecsi Tudomanyegyetem (Hungary), among many others; I’m thankful for their trust in our capabilities. Two members got their BSc degrees, Marco an Durbis, the latter also single handedly paved the way for us to develop a new research line on the in silico drug developing front; his relentless work has also been praised by the QSAR team at the Institute of Chemistry with which he has collaborated by performing toxicity calculations for the agrochemical industry as well as by designing educational courses aimed to the dissemination of our work and QSAR in general among regulatory offices and potential clients. We’re sad to see him go next fall but at the same time we’re glad to know his scientific skills will further develop. I cannot thank the team enough: Alejandra Barrera, Gustavo Mondragón, Durbis Castillo, Fernando Uribe, Juan Guzman, Alberto Olmedo, Eduardo Cruz, Ricardo Loaiza and Marco Garcia; may 2018 be a great year for all of you. And to all the readers thank you for your kind words, I’m glad this little space which is about to become nine years old is regarded as useful; to all of you I wish a great 2018! XVI Mexican Meeting on Phys.Chem. A yearly tradition of this Comp.Chem. lab and many others throughout our nation is to attend the Mexican Meeting on Theoretical Physical Chemistry to share news, progress and also a few drinks and laughs. This year the RMFQT was held in Puebla and although unfortunately I was not able to attend this lab was proudly represented by its current members. Gustavo Mondragón gave a talk about his progress on his photosynthesis research linking to the previous work of María Eugenia Sandoval already presented in previous editions; kudos to Gustavo for performing remarkably and thanks to all those who gave us their valuable feedback and criticism. Also, five posters were presented successfully, I can only thank the entire team for representing our laboratory in such an admirable way, and a special mention to the junior members, I hope this was the first of many scientific events they attend and may you deeply enjoy each one of them. Among the invited speakers, the RMFQT had the honor to welcome Prof. John Perdew (yes, the P in PBE); the team took the opportunity of getting a lovely picture with him. We thank the organizing committee for giving us the opportunity to actively participate in this edition of the RMFQT, we eagerly await for next year as every year.